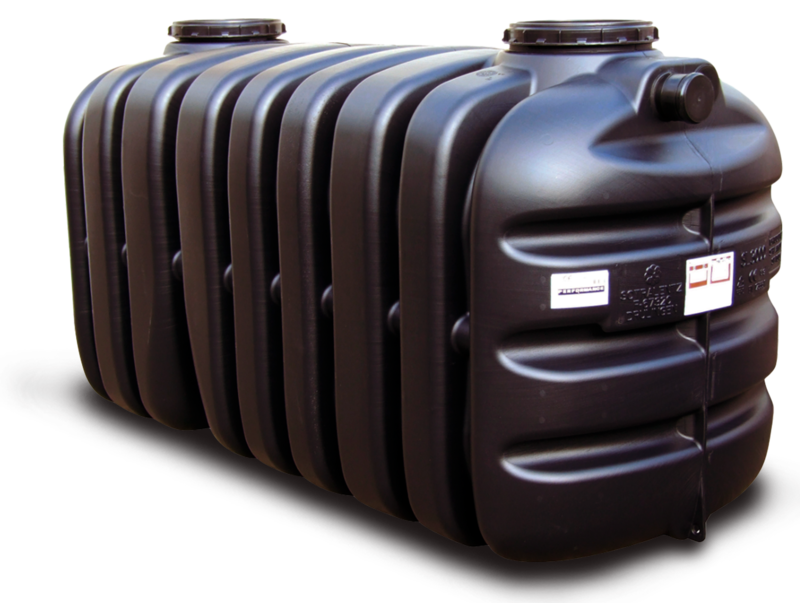 The septic tanks Tricel Vento are manufactured using the latest blow moulding technology. Produced from high-density polyethylene (HDPE), this market-leading off main septic tank is extremely durable yet lightweight. 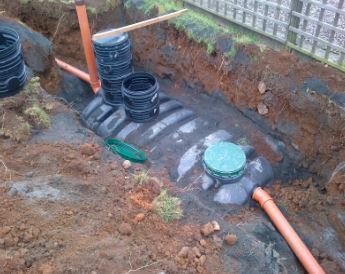 The low profile design of the tank makes it easier to install as a smaller excavation is required for the tank, saving you both time and money. A Tricel Vento is suitable for single dwellings and small communities. Sizes ranging from 6 to 50 population. 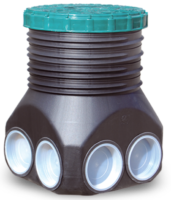 Distribution Boxes & Risers are available for Tricel Vento septic tanks, should you require them for deeper excavations. They are quick and easy to install at any time. 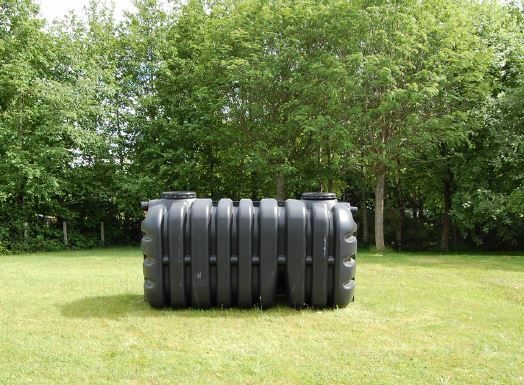 Lightweight and manoeuvrable, Tricel Vento Septic Tanks can be installed using a small excavator, blending into the landscape nicely without any fuss and ready for use in no time at all. All septic tanks must be desludged annually. Contact NI Water for this service on 03457 440 088. Please allow up to 12 days for this service. Following the desulging, call us for service and maintenance. Our Tricel Vento brochure shows the capacity and dimensions of the various tank models. 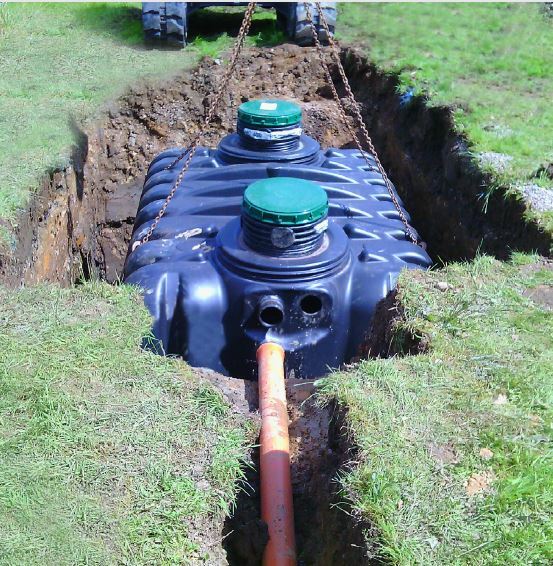 Bespoke septic tank design is available in situations where larger capacity commercial septic tanks are required. 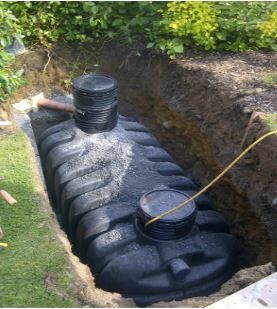 Septic tanks should be sized correctly according to usage. How do Tricel Vento Septic Tanks work? Step 1: The wastewater flows by gravity into the first chamber. Here, the solids and heavier material settle at the bottom of the tank. A small amount of anaerobic breakdown occurs. Step 2: The liquid and lighter material flow over a baffle into the second chamber. A layer of scum forms at the top of the liquid, this helps to trap any odour from escaping. 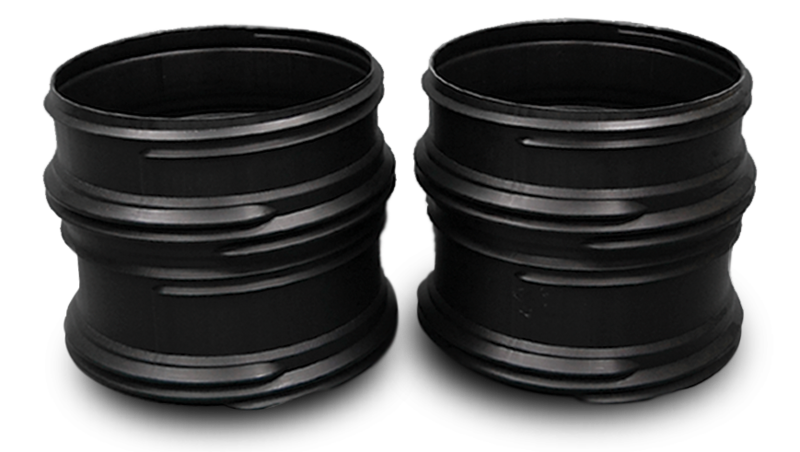 A specially designed dip outlet pipe ensures that only the liquid element flows into the percolation area and prevents the scum from passing through which may result in blocked ducts. Step 3: The final treatment stage of the wastewater occurs as it enters the specially designed percolation area. We can help you. The only thing you need to do is book a site visit, and we will be able to analyse your ground and guide you towards which wastewater treatment solution is best for your site and your needs.